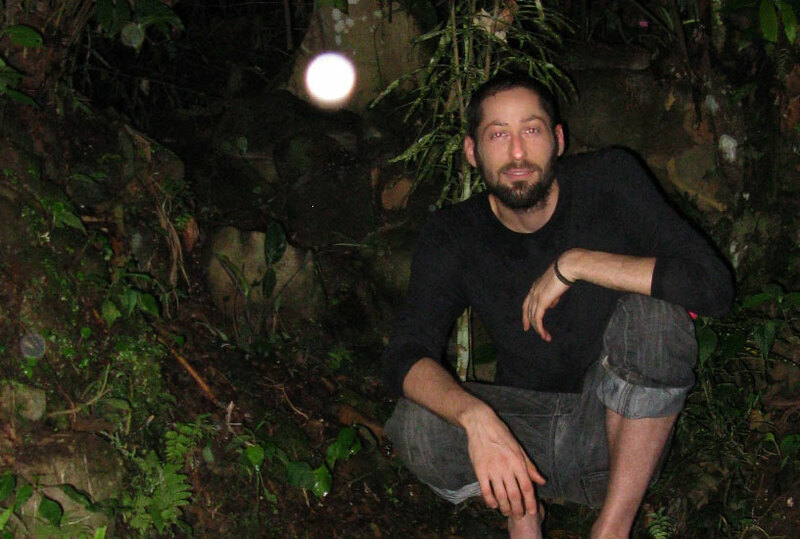 The barely visible traces of higher dimensional beings weaving among us are now being captured in flash photography at sacred sites all around the world. Natural caves, pyramid chambers and waterfalls are places where electrical energy accumulates in piezoelectric substances due to acoustic influences, and builds significant electromagnetic fields that have been used for the development of consciousness since ancient times. My own research and meditation has brought me into contact on many occasions with these higher dimensional energetic beings that manifest as luminous spherical plasma orbs. The most dramatic photograph I've taken of these beings thus far, at one of the La Maná sacred springs on August 13, 2010, is published on the Ayurvedic waters page. Details of the colloidal gold and silver waters that flow from this spring are included there, and in my first book Phi. This special spring location has become well known among my friends for all of the amazing orb pictures taken there, and many visitors drink from the celestial springs while photographing their interactions with the plasma orbs - usually at sunset. 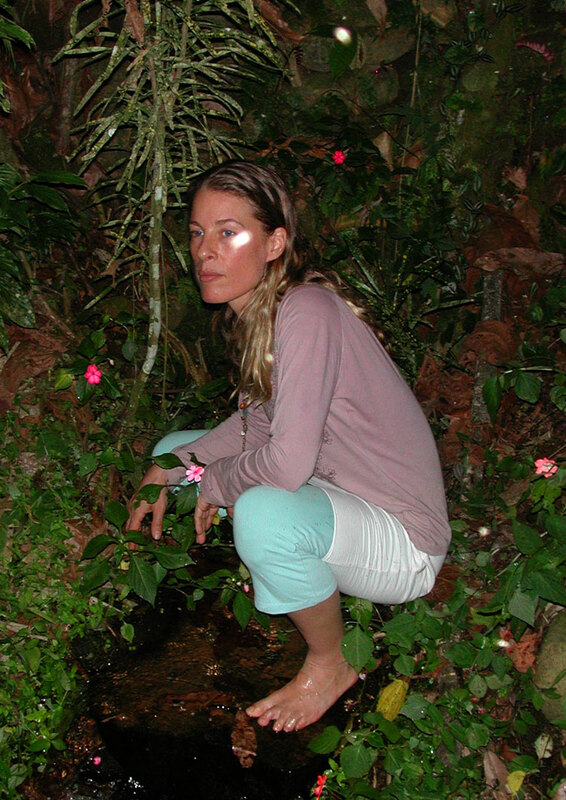 On the afternoon of October 13, 2011, my friend Rodrigo and I spent a couple hours cleaning out the leaf litter and debris from the spring, before he took a bunch of flash photographs as I drank the water and posed barefoot on the black basalt stone. In one spectacular image, an impressive luminous sphere hovers right next to me, as if voluntarily posing for the photograph (above). In fact, I had made a silent thought request that was granted! The remarkable detail obtained in the above image corresponds precisely to the standing wave structure of the electron and the infrasound field of our entire planet itself, at resonance. This unified geometric pattern is also witnessed in various crop circle formations, especially at the Ickleton and Lurkley formations in Wiltshire, England. I was also able to photograph plasma orbs in Hidden Valley, California in May of 2010 after reports of their recurring appearance in areas where downed grasses had later been observed. The rapid heating of the downed grasses left the stems and seed heads completely reddened by anthocyanin stains, clearly visible in the detailed photographs. The location of the events corresponds precisely to my global mapping of the quantum quadratic formula to the sphere of our planet, as mapped in the Hidden Valley orbs article. After years of visiting this place to recharge and purify myself with these waters, I have understood that direct electrical contact with the Earth enhances the conditions for contact with the plasma beings, just as Kirlian photographs are taken using electrical currents to generate plasma discharges that are recorded. We continue to visit the spring regularly, drinking directly from the mouth of the Earth with our bare feet in contact with the water and stone. The luminous plasma spheres appear in various hues. 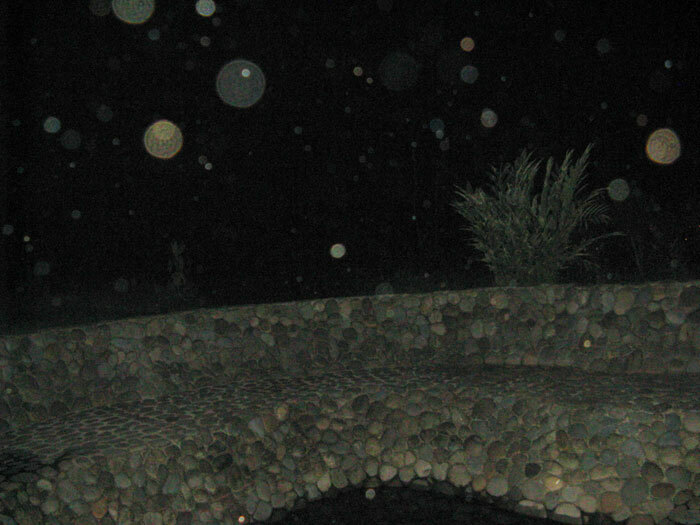 While most of the orbs appear to be white or pink, with brightly saturated auras of blue, red, pink, orange and green. 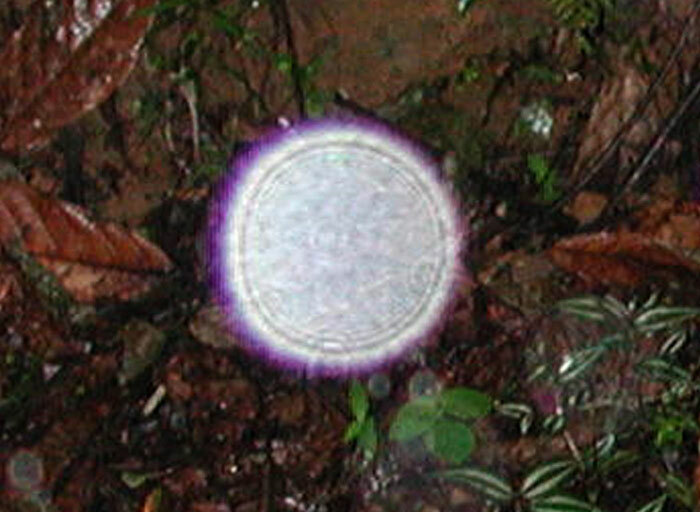 The most intense experiences I have had with plasma orbs, and bright flashes of light connected with them, are detailed in the second chapter of my book Tesla's Rebirth. The piezoelectric river stones used in the construction of the healing pools transduces the infrasound resonance of this sacred site (that is strongly audible for myself and other sensitive meditators) into low-voltage electrical currents that accumulate in the purified waters. 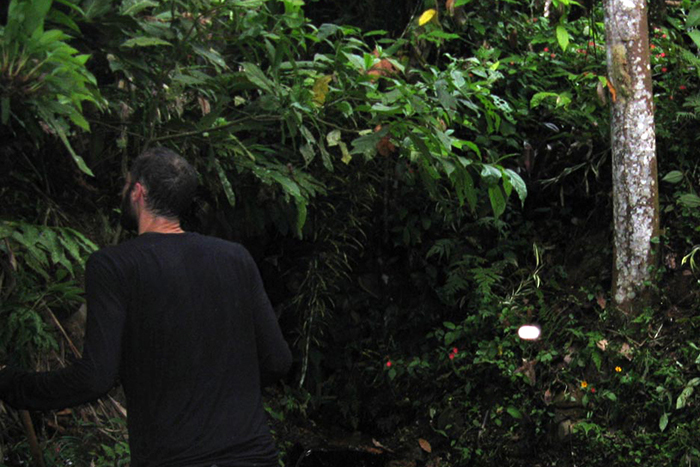 Our exciting contacts with plasma entities from higher dimensions continue to unfold here in La Maná, Ecuador, bringing together like-minded seekers of knowledge and healing through the use of celestial Ayurvedic waters at focal locations of infrasound resonance.